(CNN) - The Indian government has encouraged more children to attend school by offering free lunches to students. Most are prepared in individual kitchens; they rely on rice provided by the government and other foods that cost only a few cents per student. After dozens of children were sickened or killed by pesticides in school lunch, CNN's Sumnima Udas visited an Indian school kitchen to see how the meals are made, and why they continue to draw more students to classrooms. Patna, India (CNN) - Pesticides have been found in the food and oil used in a free school lunch that killed 23 students and sickened 25 others on Tuesday in northern India's Bihar state, police said Saturday. Forensic scientists found monocrotophos, an organophosphorus compound used as an insecticide, "in the samples of oil from the container, food remains on the platter and mixture of rice with vegetables in an aluminum utensil," Assistant Director General Ravinder Kumar told reporters in Patna. Monocrotophos, which is used for agricultural purposes, is toxic to humans. An administrative inquiry has pointed to negligence by the school headmistress in supervising food preparation for the children, Bihar state's midday meal director R. Lakshamanan told CNN on Friday. The cook, Manju Devi, was hospitalized after eating the food she prepared, doctors said. Devi told police that the headmistress, Meena Kumari, did not heed her warning that the mustard oil used to prepare Tuesday's lunch looked and smelled bad and instead insisted that she continue preparing the meal, Lakshmanan said, citing the inquiry report. Police told CNN that investigators were trying to find Kumari to question her. The investigation found compromised hygiene and sanitation in the school, which was running from a single-room makeshift building, he added. Editor's note: Jeff Bridges has worked for more than 30 years on issues concerning childhood hunger here and abroad. He founded the End Hunger Network in 1983 to organize the entertainment industry around this cause. Since 2010, Jeff has been the national spokesperson for Share Our Strength's No Kid Hungry® campaign to end childhood hunger in America. (CNN) - When I was growing up, I had everything I needed. My wonderful parents, Dorothy and Lloyd, made sure we had nutritious food and they taught us where food came from. I have been blessed in many ways, and my wife, Sue, and I have been fortunate enough to pass that on to our own four daughters. We've never had to worry about how we'd feed our family. Other families in America are not as fortunate as I have been. Few Americans realize that the majority of low-income children in this country get most of their nutrition at school. Whether it's the free breakfast, reduced-priced lunch or after-school snacks, these federally funded meal programs provide a critical safety net for families struggling to put food on the table. However, there is a huge gap in the number of children who could be getting these meals and the number actually accessing them. Arizona, Idaho, New York and Tennessee will participate in the new National Greek Yogurt Pilot Program. (CNN) - In addition to the studies of Odysseus and Homer, school kids across the nation could get an additional Greek fix from in their yogurt, as the U.S. Department of Agriculture kicks off its National Greek Yogurt Pilot Program. Arizona, Idaho, New York and Tennessee will be the first four states to participate in the project, which is a part of the National School Lunch Program for the 2013 – 2014 school year. 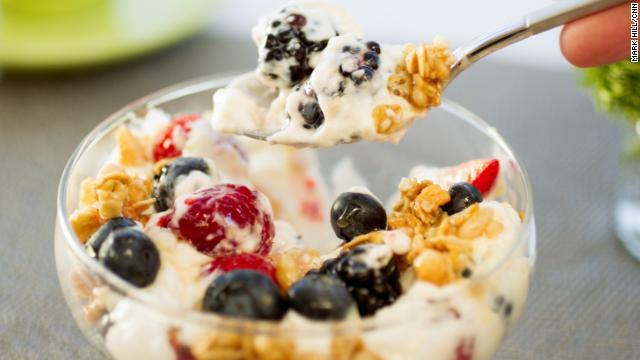 The USDA announced in January that it would begin the pilot program to test the cost-effectiveness of including Greek yogurt in school meal programs. Greek yogurt offers higher nutritional benefits than traditional yogurt with less sugar, carbohydrates, sodium and lactose, as well as an increase in protein per ounce. The ballooning demand for the dairy option has created a $2 billion industry. New York governor, Andrew Cuomo, was particularly happy that his state, the largest producer of yogurt in the nation in 2012, had been chosen as part of the pilot. “It is a win-win for the state, exposing our students to a nutritional product and expanding the marketplace for Greek yogurt producers and suppliers in New York State,” he said in a press release Tuesday. The Jones Valley Urban Farm transformed more than 3 acres of vacant Birmingham, Alabama, land into an agricultural oasis. Editor's note: The Southern Foodways Alliance delves deep in the history, tradition, heroes and plain old deliciousness of Southern food. Today's contributor, Emilie Dayan, writes a weekly SFA blog series called "Sustainable South" about food and the environment, nutrition, food access, food justice, agricultural issues and food politics. In recent years, there has been a lot of talk about urban agriculture and the solution it provides for sustainable and healthy living. The Jones Valley Teaching Farm (JVTF) in Birmingham, Alabama, however, is much more than an urban farm. Their vision is to educate 10,000 Birmingham children annually. The project started in 2007 as the Jones Valley Urban Farm, when the organization transformed three and a half acres of vacant downtown property into an agricultural oasis. The mission was to make the downtown Birmingham community a healthier place. Soon, the farm’s educational programs proved to be the most relevant of all the organization’s initiatives. As a result, the leadership shifted the focus of the farm and changed the name. Today, it is the Jones Valley Teaching Farm, and it is a place where young minds blossom. 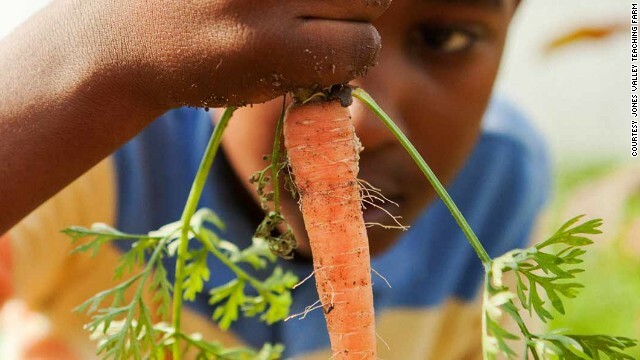 By connecting young people to their food, and helping them understand where it comes from, the JVTF believes that future generations will be empowered to eat smarter, think healthier, and live better. 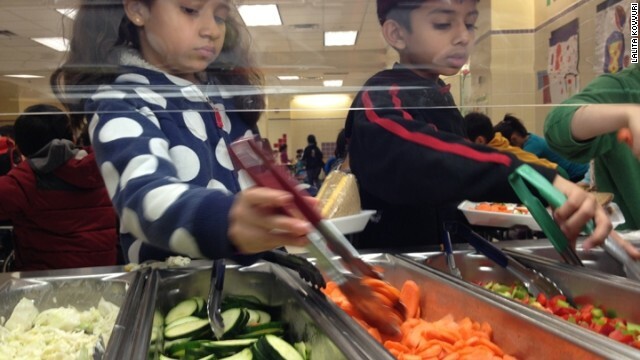 Students at the Active Learning Elementary School in Queens check out the cafeteria salad bar. (CNN) - Asked which school meals were their favorites, students at a public school in the New York borough of Queens don't say chicken fingers or meatballs. Instead, they name rice and kidney beans, black bean quesadillas or tofu with Chinese noodles. "Whoever thought they would hear a third-grader saying that they liked tofu and Chinese noodles?" asked Dennis Walcott, New York City schools chancellor. Walcott was at the Active Learning Elementary School this week to celebrate its move to all-vegetarian meals five days a week. The school of nearly 400 students, from pre-kindergarten to third grade, was founded five years ago on the principle that a healthy lifestyle leads to strong academic achievement. "We decided on a vision where health and nutrition would be a part of educating the whole child," school principal Bob Groff said. The school's focus on healthier meals began three years ago when Groff noticed a majority of students were bringing their own vegetarian meals. The school went meatless three days a week about a year and a half ago. It also tested meals on a small group of students, gathering feedback and changing the menu accordingly. Active Learning's student body may be more accustomed to vegetarian diets than most, with 85% of the students being Asian and another 10% Hispanic, said Margie Feinberg, spokeswoman for the New York Department of Education. "Rice was a staple of many of their home foods," Groff said of the students. 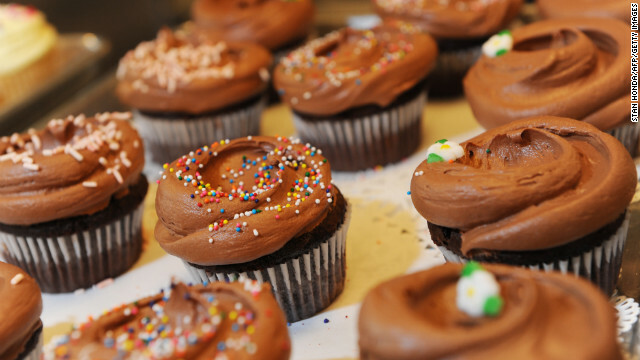 Birthday party cupcakes or holiday treats brought from home can pose a risk to schoolkids with severe food allergies. (CNN) - Children should not die in schools. Children should not die from eating common foods. A minuscule speck of a peanut, not even visible, should not take a young child's life in minutes. And yet this has happened in the past two years - to 13-year-old Kaitlyn in Chicago and to 7-year-old Ammaria in Virginia. As the holidays approach and celebratory treats are brought into schools from home, we must ensure children with food allergies are safe. Congress can contribute to that by rapidly passing the School Access to Emergency Epinephrine Act. This bill would provide states with incentives to require elementary schools and secondary schools to maintain, and permit school personnel to administer, epinephrine - a form of adrenaline that eases hives and breathing difficulties and when injected, prevents rapid death. (CNN) - A New Hampshire school board member says that he wants to ban football in his district. Paul Butler, a retired surgeon and first-term board member for the Dover school district, says that the risks of injury in the sport are too great. "I think it's bad to take this away I certainly do. But it's worse to let it continue," Dr. Butler told CNN affiliate WHDH. The American Academy of Pediatrics doesn’t just call football a contact sport. The medical group also refers to it as a collision sport, because participants routinely slam into each other or into the ground. AAP released updated guidelines in 2010 on dealing with head injuries in children, recommending that some student-athletes retire from football after multiple concussions or if symptoms from a concussion last longer than three months. The medical group doesn’t say young people shouldn’t play varsity football, which is what it said about youth boxing in 1997. Some parents say there are benefits to playing on the gridiron. "I think there's a lot of positive things you can get from playing football. A lot of good lessons kids learn, teamwork, working together for a common goal," Harold Stephens says in the video above.